Are Your Wedding Photos Saved or Archived? As a person who just got married or as a bride who will soon be married, you may not be thinking about what will happen to the photos that are captured on your wedding day. But perhaps you should. Do you know if your wedding photographs/images will be archived or saved by your photographer? Do you save your wedding photos? Ok, I know that this isn’t the sexiest, most fun topic to think about. I’m sure it would be fun to talk about Lindsey Lohan or Charlie Sheen, but perhaps this topic is worth considering. In the past when a wedding photographer took photos of your wedding with his/her film camera, they would have the film developed and either retain the negatives or hand them over to the bride and groom. Since most photographers shoot digitally these days, they can save your wedding or event images in a number of ways. And you have the power to save the images too, if you choose. Sometimes it’s just a matter of asking your photographer. I think what compelled me to blog on the subject of photo archiving was a couple of things. One thing to remember is that your wedding day is one of the most important days of your life and you will definitely want to have some lasting momentos to remember it by, in particular I’m thinking of photos. The second thing that concerns me is that these days if you are creating a budget, do-it-yourself wedding from scratch and you’re on a limited budget, you can visit Craig’s List or other sites online and connect with photography novices who make big promises, but may or may not actually be able to deliver. What I’m saying is that the guy who you picked to photograph your wedding for $225 from Craig’s List, who has a great portfolio of images from his trip to Machu Pichu, Peru and the Dominican Republic is likely not archiving your photos for you. This means that the burden is on you to keep the images safe. What to consider when archiving important images. Many times photographers deliver images to their clients in a more refined, manageable format. For example, after your wedding the photographer may provide you with selected images which have been edited to his/her personal standards, which have been reduced in size (and possibly quality). They may look fine when you post them to Facebook, but what happens when you decide to make large prints? You may discover that this is not an option. I recommend that if you want to archive your images, ideally you will want to start by using the original images. That is to say, if you are archiving an edited version of the original, then you are saving a degraded, reduced file. Saving the original image, whether it be in RAW format or a JPG file, will allow you to have maximum leverage when you decide to access it for use in the future, which equates to more printing options and better image quality (in theory). Options for archiving are abundant, but I’m going to discuss a few that are familiar to me and that have worked for me. The first and most obvious way to archive is to save images to a compact disk (CD) or digital video disk (DVD). Both options are relatively inexpensive and the only noticeable difference between the two is amount of storage space available; DVDs tend to have significantly more space available for image storage than do CDs. 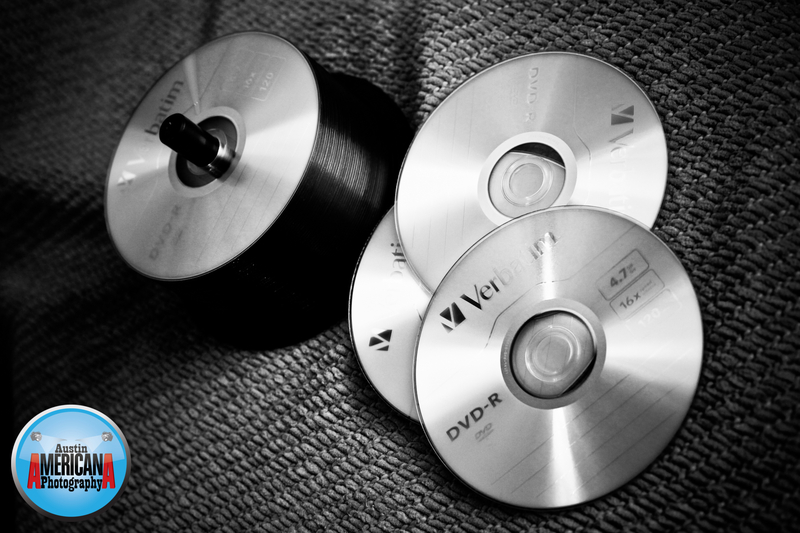 Another thing to keep in mind is that among CDs and DVDs, you have the option to upgrade to a truly archival CD or DVD. However, however truly archival the CD/DVD may be is unclear. I purchased some a few years ago, but it’s still too early to tell if they will outlast regular CDs/DVDs in longevity. Based upon my research, regular (non-archival) CDs/DVDs are rated up to 100 years or more; however, there are reports of disk failure in much shorter times (less than 10 years), so who really can say?! I guess what I’m saying is that I don’t have a straight answer regarding how long a CD or DVD might last. For now I suppose I’ll just have to trust in Verbatim (the brand I frequently use). When I shoot a wedding, I return home and immediately dump the images from the camera’s compact flash card onto my computer hard drive. As a secondary backup system, I subsequently burn the original images to DVD disks. I also save a copy of the originals onto my external hard drive as a tertiary backup. 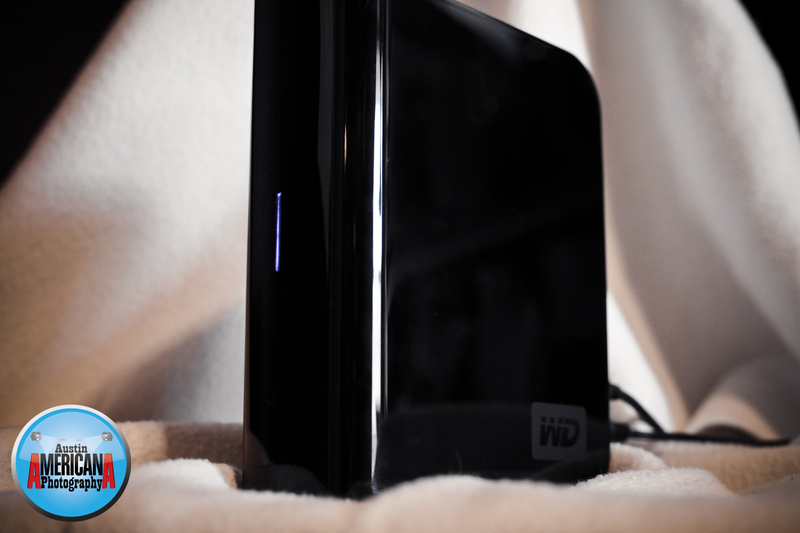 External hard drives are fairly cost effective if you have gigs and gigs of images to store. For PC users, last time I checked, you can purchase a 1+ terabyte external hard drive for around $100. That’s 1,000 gigabytes of storage (a whole lotta photos – even in RAW format!). One consideration with external hardrives: treat them gingerly. Several years ago I bumped my old external hard drive and it never worked again, so keep in mind that they may have sensitive parts inside. For my $130 external hard drive, I was quoted my the manufacturer a price up to $2,500 to recover my lost data. I just about fell off of my chair when I heard the price. So buyer be ware! 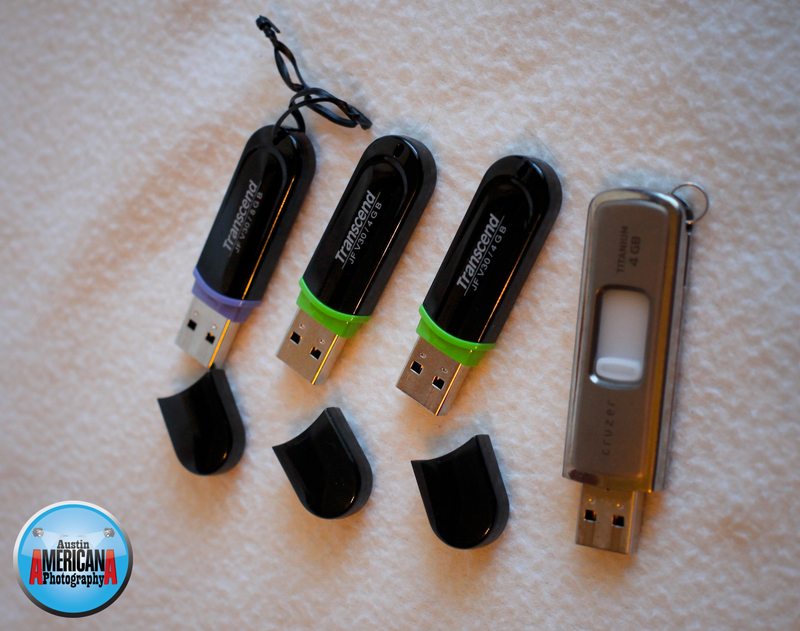 One other option for storage as a go between are flash drives, also called stick drives. These are tiny, pocket sized storage devices that are great for storage of images, sharing of images and more while you are on the go. For example, if you are shooting on location and want to dump images from your notebook on to the USB flash drive, it can be easy and quick. These can also act as backups considering that these days flash drives can store up to 256 gigabytes of data (Amazon: $700 – not all that cost effective, by the way), which is no joke considering how small they are. One relatively new method of storage is to save your images onto a storage host website. Many websites offer this as an added option to having an account with them (think smugmug, wordpress, picasa, etc. ), but often you are limited in storage size. However, some websites are dedicated solely to image/data storage and guarantee the safety of your data. These sites are of course not free, but can be a great and convenient option for image storage. So my whole point of this blog was to explain many of the options that are available for backup storage for important events, or even those that are just dear to your heart. I personally sleep a little better at night knowing that I have multiple copies of images of my family stored away safely. And most of my wedding and portrait clients probably have no idea of the trouble I go to so that their images are safe, but that’s ok. So the question that begs to be asked when meeting with your photograher: will our photos from our special event be archived? Hopefully they’ll have the right answer for you!